The extent to which a mold infestation can ruin a home is evident in marijuana grow operations. Often, buildings are structurally altered in order to accommodate and facilitate marijuana growth. The results are high humidity, poor ventilation and excess moisture—all of which fuel mold growth and leave homes completely overrun with wall-to-wall toxic mold. 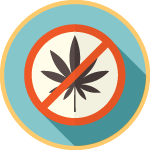 If you own a property that used to be a marijuana grow house, it must be professionally cleaned to ensure safe occupancy. 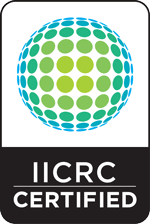 Likewise, if you’re not sure whether your property is affected, you need to get it inspected. 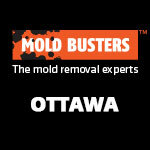 Mold Busters handles every aspect of marijuana grow op mold removal in Ottawa homes and marijuana grow op mold removal in Montreal homes—everything from the initial inspection to the remediation, cleaning and proper disposal of contaminated materials. Homeowners, landlords and real estate agents have all found our grow op mold removal services extremely helpful in cleaning black mold problems quickly and effectively. 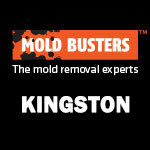 Contact us today for professional black mold removal. The most common buildings associated with marijuana grow ops are residential and commercial rental units. And while the damage can differ from unit to unit, the undeniable mold contamination that results can make occupants extremely sick. 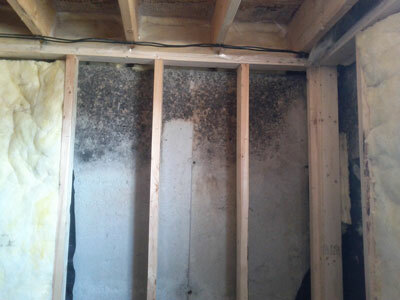 Stachybotrys chartarum, better known as toxic black mold, is a typical species of mold found in grow houses. This mold produces toxic chemicals that can remain inside a building long after the grow op has shut down, creating a toxic environment that’s not safe for occupancy. Are Legal Marijuana Grow Ops Dangerous? Compared to other countries, Canada has relatively relaxed laws on marijuana use, and as such, licensed marijuana grow operations for medical use are completely legal. However, these growers rarely have any experience running a commercial facility, so they often use residential houses to grow the marijuana. The cultivation process often creates a buildup of moisture and heat – the ideal conditions for mold growth. These homes are, therefore, no better off just because they were legal. Marijuana grow ops often lead to major mold growth on walls and structural components of a house. Get your home checked today! Is My Home in a Former Grow Op? There’s every possibility that the house that you live in or are about to purchase is a former grow op (i.e. marijuana grow operation). What’s more, most grow ops are so well organized that it’s next to impossible for an average person to detect the signs. A recent police raid in Winnipeg, Canada accidentally led to the discovery of a marijuana grow op. Fire crews discovered the operation following a string of house fires, which ironically enough, were not caused by the grow op. However, the incident definitely revealed the illegal activity, and about 82 marijuana plants were discovered in the houses. Is Worrying About a Grow Op a Waste of My Time? If you’re certain that your home is not a former grow op, it’s still worthwhile to get a professional grow op inspection. Why? Former marijuana grow operations often have dangerous structural defects due to the changes made in an attempt to create ideal conditions for growing marijuana. The structural defects leave homes unsafe for occupancy. In addition, grow ops lead to serious mold contamination of the home, and the toxic gases badly pollute indoor air quality. These air quality issues continue to be a major problem even after the grow op has been abandoned. The best way to deal with former grow ops is to get them inspected by a reputable grow op inspection company and, if necessary, book a professional mold remediation. 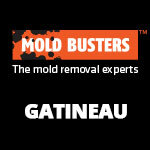 Mold Busters, Canada’s best mold removal company, has been providing fast and affordable grow op inspection and grow op removal services for over five years. Just like the illegal grow ops you see ravaged by toxic black mold, legal marijuana grow ops are just as prone to this hazardous mold. This can be a problem for unsuspecting buyers. If you’re looking to buy a home, it’s important to keep in mind that real estate agents might be less motivated or obligated to tell you that the home is a former grow op because they want to make the sale. You should, therefore, insist on getting it checked professionally, especially if the property seems suspicious. 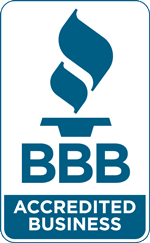 And remember, a typical home inspection (performed as part of a condition of an offer to purchase a home) does not guarantee that any mold will be found, and it is extremely difficult to hold the home inspector, real estate agent or seller liable if you do find mold later on. That’s why professional mold inspections are a better alternative if you are concerned about your home being a former grow op. And make sure not to wait to long, because mold problems can grow out of control very quickly, wreaking havoc on your home and your health. Fortunately, some cities require that former marijuana grow ops undergo professional grow op mold removal before they can be deemed fit for occupancy again. However, it can be difficult for the average homeowner to properly assess the requirements for an effective mold remediation. This is why you should always contact a professional to, first and foremost, inspect your property and then to conduct safe and effective mold abatement. 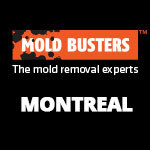 For expert advice and service, contact the mold removal experts in Ottawa and Montreal. You can trust us to restore your property to its original splendour and charm while meeting all safety standards.